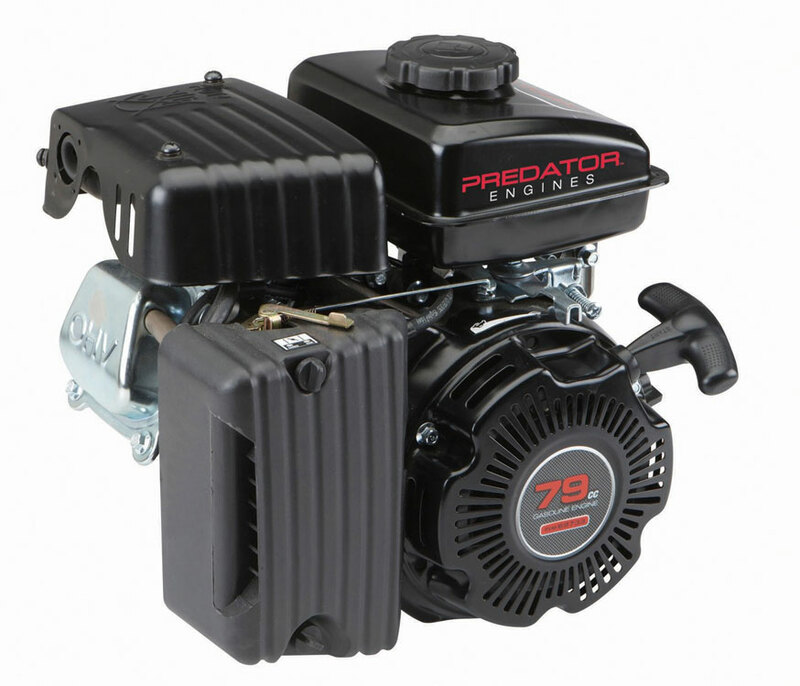 This Predator 79cc gas engine is the ideal all-purpose replacement for 3 HP engines. The construction and engineering on this unit have been upgraded for improved durability and service life so your equipment runs longer. This tough gas engine features a durable cast iron cylinder that withstands wear and abuse, fuel shut off for safe transport and gas saving overhead valves for a cooler, cleaner performance. The horizontal shaft design makes this an ideal all-purpose replacement gas engine.